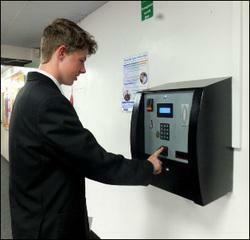 Copley Academy has adopted a biometric cashless cafeteria system. 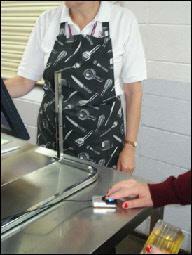 The school canteen opens for breakfast service at 8.00 am. Pupils can buy toast, warm drinks, smoothies and fruit juices. During morning break, the canteen is also open for pupils to purchase toasted teacakes. If you attend a special lunchtime activity, such as choir practice or have a music lesson, your teacher will give you an early lunch pass. Lunchtime begins at 13:15 sharp. Pupils form an orderly queue and are supervised by a member of the senior leadership team. Pupils may also bring in their own packed-lunch and sit in the canteen to eat - as soon as lunch begins.